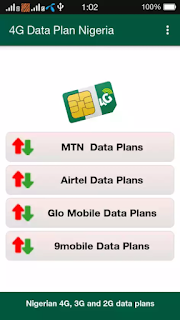 Data plans app for all cellular 4G, 3G mobile phone networks in Nigeria. Home » Games/Apps » Data plans app for all cellular 4G, 3G mobile phone networks in Nigeria. Internet Data Plans App for Nigeria. By the App you can easily Subscribe & activated, deactivated any data Plans & 4G connection , Also check data & account balance any cellular mobile phone networks and operators 2G, 3G, 4G internet data plans in Nigeria. - 4G Data Plans & Packages. - 3G Data Plans & Packages. - 2G Data Plans & Packages. - MTN Internet Data Plans. 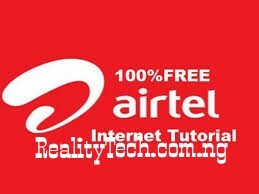 - Airtel Internet Data Plans. - Glo Mobile Internet Data Plans. - Etisalat Internet Data Plans. - 9mobile Internet Data Plans.